There are people who intentionally lie, when they know better. There are others who spread misinformation due to ignorance, gossip, or fear. When I hear someone who is educated make false claims about gay people, that reflects an innate bias or prejudice, it pisses me off because they should know better. It can be hard to discern when a bias is due to ignorance or stupidity, or is simply a reflection of a person’s extreme political agenda. Yesterday I posted a letter to the editor that Mike Walker of Brandon, Mississippi, had written to the Editor of the Clarion-Ledger alleging that “LGBT rights” would infringe on his rights as a straight white male. My gut reaction when I first read the letter was to attack the messenger, despite knowing that a biting and bitchy response is counter productive. So I tamed my anger, and not knowing Mike Walker, I decided that his false statements were made due to ignorance. I wrote a letter to the editor, in response to Walker’s letter. The Mississippi newspaper did not publish it, so I’m going to post it here. I read Mike Walker’s letter about LGBT civil rights in the Clarion Ledger online, and felt compelled to respond. 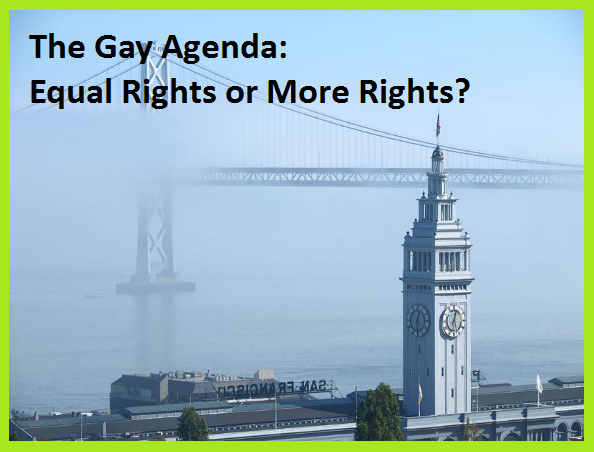 LGBT civil rights will remain a hot topic of conversation for as long as lesbian, gay, bisexual and transgender people are denied the basic rights that the majority of Americans enjoy. Gay people want the right to get a job and work, just like everyone else. In the United States, it is perfectly legal to fire someone in 29 states, because they are lesbian, gay or bisexual. It's legal to fire a transgender employee in 34 states. The LGBT community wants to be able to stay in a hotel, rent an apartment, and enjoy a meal at Bob's Big Boy without fear of reprisal. In the majority of states in the US, public accommodation laws are not extended to LGBT people. We can be evicted, or told to get out, just because of our sexual orientation, and it happens all the time. The LGBT community wants to be able to love who we choose, unencumbered by judgement or discrimination from our families, our friends, our neighbors, our churches, and government institutions. We want to affirm our relationships, just like the majority of Americans do, by being able to marry our partner. We have all been taught that we are all “created equal.” Because of the way we are demonized by politicians and religious leaders, and by people like you, we may be created equally - but we aren't treated equally. We aren't asking anyone for more rights than the average American, we just want the same rights that the majority enjoys. I'm afraid that your specious assertions have served no purpose except to reveal your bigotry, and the fact that you are a white male who wants to preserve his primacy at the top of the heap. Our federal Constitution guarantees equal protection under the law to each citizen, which is great in theory, but a pipe dream for the LGBT community, for undocumented aliens, and for many people of color. Your letter illustrates that perfectly. Get over it Mike. It's 2012 and the times are changing.